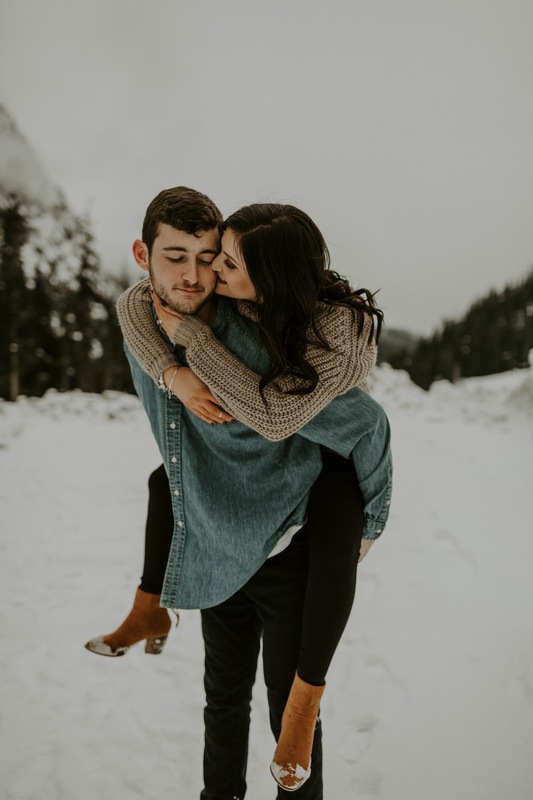 These two cuties are throwing an epic New Years Eve wedding, so we spent their engagement session in the snowy mountain tops of Washington State. We met up to get some yummy treats and Starbucks to warm us up in the snow!! I instantly hit it off with these two and I’m so freaking stoked for their wedding day!!! I mean, these photos speak for themselves, but just take a look at how freaking cute these two are!!!!! They’ve been together for SOOOO long, and you can definitely see their playful yet romantic sides to their relationship.